There's a lot of Ford fanatics here. 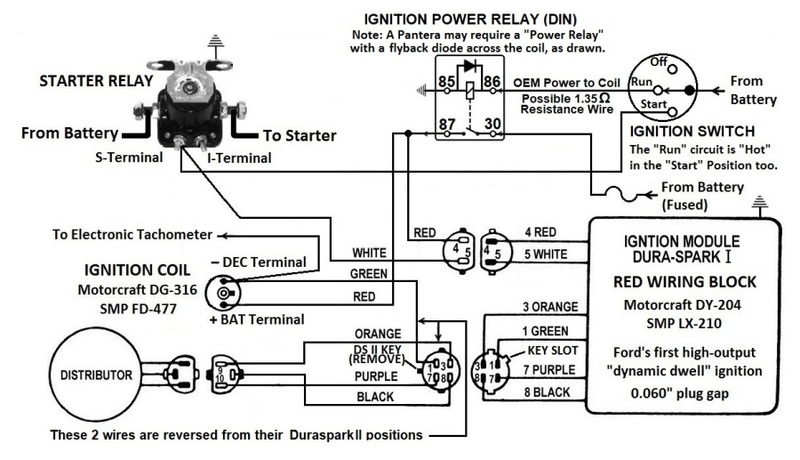 I'm trying to help a guy wire a Duraspark ignition into a Mustang. Something I've done many times in the past. But my memory is getting worse. 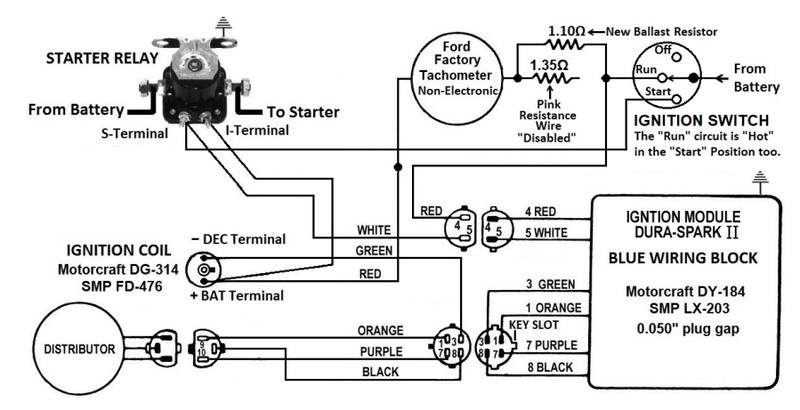 I'm referring back to the ignition wiring for late 1960s and early 1970s Fords equipped with the factory tachometer. There was a pink wire downstream of the ignition switch, which was the ballast resistance for the ignition circuit. Factory tachometers were wired in series with the ignition circuit too. What I can't remember is where the pink wire was placed when there was a factory tachometer. Was it before the tachometer or downstream of the tachometer? George P.: If your converting to Duraspark, I believe the pink wire was disconnected. The resister wire is between the ignition switch and the tach. It is not removed for duraspark. The tach is current triggered so the circuit between the ignition switch and the coil must not be modified or the tach will not be accurate. Thanks to both of you, your help is appreciated. Once I read Forest's comment about the pink wire being located between the ignition switch and the tach, the image of a picture from an old Chilton's book flashed in my mind. So I went to our storage unit this morning and grabbed the book, and inside was all my old notes from the early 1980s about Duraspark conversions. I forgot they were there. Talk about having your memory jogged! With your help I was able to create a new schematic, and like everything else, here it is free for the benefit of anyone who needs it. The big difference between now and then …. back then we used wiring harnesses pulled from wrecking yard cars, today folks are using aftermarket wire harnesses such as the one available from Painless Wiring. The attached drawing is geared towards that situation. Like Doug wrote, the pink wire is disabled, but it has to be replaced with a jumper and the new ballast resistance. Forest, I know substituting resistances will alter the tach readings (about 20%). My "argument" to owners has always been that the tach remains functional which is the owner's main corncern, and it is no less accurate than any of the other factory gages. In fact, I believe the new 1.10Ω ballast resistance is within the spec for the old ballast resistance (without looking it up I believe it was 0.7Ω to 1.7Ω). Substituting a coil could have just as much effect. The point being, the factory tach was not real accurate to begin with. Besides, that's what they get when they take advice from the son of an Okie. Thanks again guys. Pantera owners, this drawing isn't for you, it applies to Torinos, Montegos, Mustangs, Cougars, and Rancheros. Possibly Aussie Falcons and Fairlanes, I can't say for sure, I have no experience with the cars that stick to the road even though they are upside-down. Why add a new ballast when you can just use the existing resistance wire? The primary resistance of a Duraspark II coil is 1.17Ω. So each tenth of an ohm in the primary circuit is significant. For instance the ballast resistance in 1976 was 1.30Ω, Ford dropped the resistance to 1.10Ω in 1977 for a boost in performance (that was the only electrical change made). When I look at that circuit I see 3 unknowns, the resistance in the 50 year old ignition switch, the resistance in the 50 year old pink wire, and the resistance in the 50 year old tach. 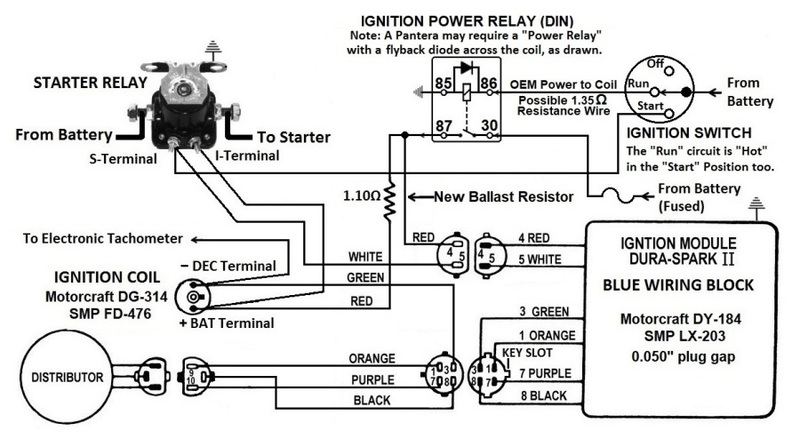 That's why I normally have folks install a power relay as in the schematic below, to bypass the car's wiring harness entirely. But in this case we can't bypass the tach, keeping the tach operational is the owner's main concern. Panteras have a lot of problems associated with the ignition switch, but not so much Ford vehicles. So I've kept the ignition switch in the circuit too. But that leaves the ballast resistance. It was nominally 1.35Ω, which is already a bit too much, but it could have been much much more and still have been within "tolerance". After 50 years, who knows what the resistance is today. 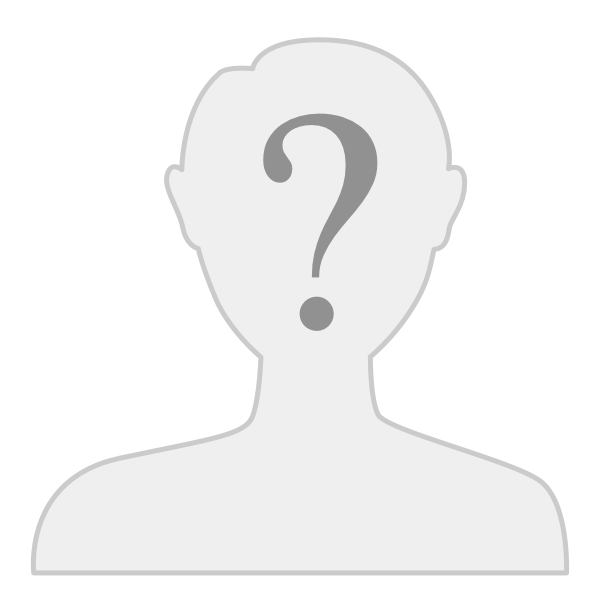 The last unknown in the equation is the human factor ... people of various skill levels are performing this work. I can't expect all of them to be capable of measuring a circuit's resistance and making a valid decision based on that measurement. I can't be there to help each of them either. All I can do is post a schematic on the internet. The aftermarket wiring harnesses supply a new "accurate" ballast resistor ... so why not use it and hope for the best ignition performance possible? If an owner wants to get lazy and use the pink wire that's fine, but if the ignition doesn't perform as well as it should, it was due to their decision and not my instructions. And for the record, here's my new Duraspark I schematic. All 3 schematics are for the first time available in the same topic (thread). These new schematics provide more information than I've provided in the past; I've redrawn them to make them easier to follow, and to be more helpful to a wider audience. The schematics provide a visual for how the wires are bundled together between components. By the way Forest, keeping your last question in mind. The primary resistance of a Duraspark I coil is only 0.70Ω. So each SEVEN HUNDRETHS of an ohm in the primary circuit are significant. This was the situation which originally lead to me to bypassing a car's wiring harness with an "Ignition Power Relay". I have installed these 'Ignition Power Relays' in early and later cars. The note below the 'OEM Power to Coil' wire about a possible 1.35 ohm resistance wire is applicable to the later cars. Despite the resistance, that wire will energize the DIN relay, and it will also de-energize when the key is turned off. The early cars with the ballast relay mounted on the firewall uses a regular non-resistance wire as the 'OEM Power to Coil' from the key switch. Unless one of the DIN relays with a resistor or a diode across the relay coil is used, it will NOT disengage due to the very slight back feed of +12v to the circuit through the 'GEN' light bulb and resistors back in the dashboard keeping the relay coil engaged. Much less power is required to hold the coil than to energize it in the first place. Larry, you've mentioned this to me in the past, thanks for bringing it up again. I've edited the two schematics to take into account your comments. Please check them out above, and let me know if you think the edits will help.